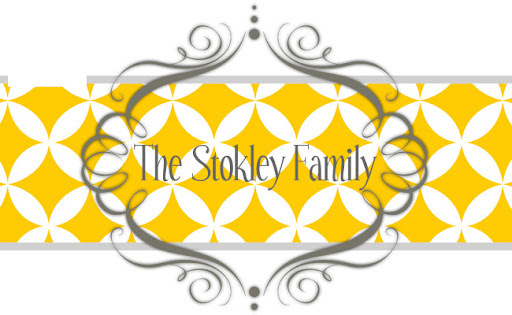 The Stokley Family: He's back! Scout the Window!!! He arrived a few nights ago and the kids were beyond excited! As you can tell from Ry's face above!! They don't actually believe that he goes back to the North Pole every night but they like to pretend that he does. Our kids don't believe in Santa. They know not to tell other kids that do believe but it's just something that we choose not to lie to them about. That's not to say we don't do fun things that are centered around Santa we just let them know that it's just for fun and that he's not actually a real person. Ryan is really big on not lying to them which I guess is why we decided not to tell them he was real. I always explain it as we love Cinderella and Buzz Lightyear and like to play with them and pretend they are real but we know they aren't real people. Tanner is starting to write so good! He did this all by himself! Previous years we just hid Scout the Window in different places every day. This year though we decided to take it a step further. Now Scout the Window gets into mischief every night. Saying that they love this would be the understatement of the year! It's the highlight of their day! The first night Scout made snow angels on the counter out of flour. Last night he rolled the Christmas Tree! Tanner said he should get a spanking because that was being wasteful! I love that kid! We are glad to have you back Scout the Window!